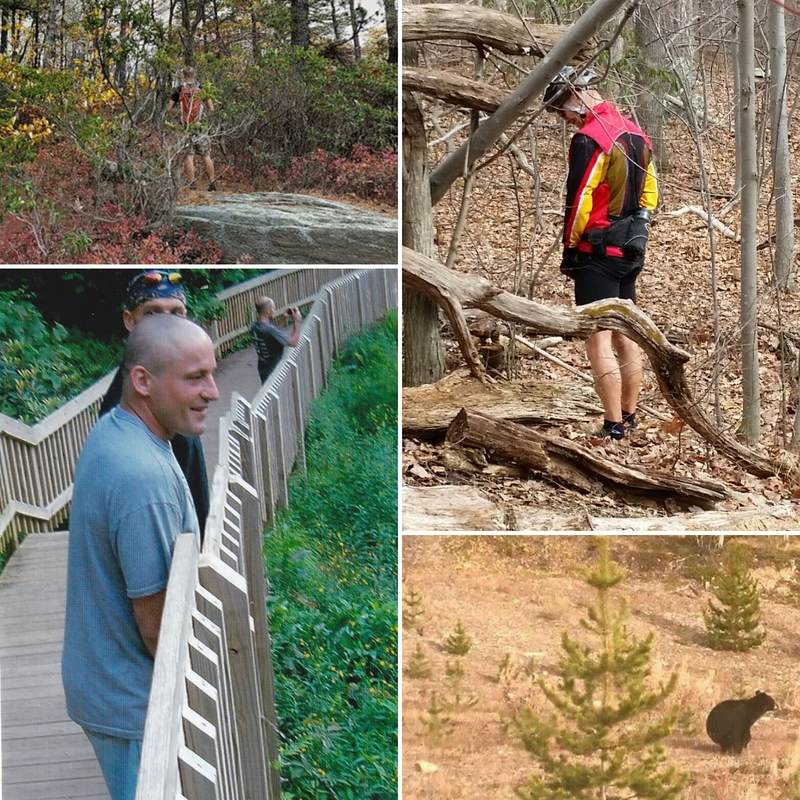 American Standard Trail, located near Jim Thorpe, Pennsylvania, is one of the most famous mountain biking trails in Pennsylvania. 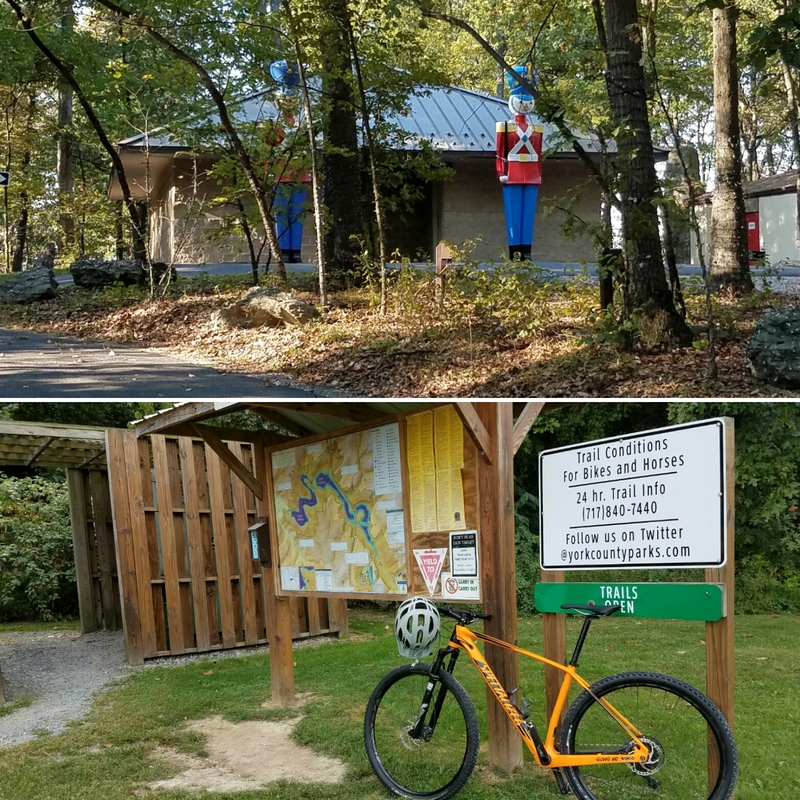 Mountain bikers from all over the world make the pilgrimage to ride this rocky, twisty, 18+ mile single track just to see (and more than likely take a selfie with) the American Standard urinal that somehow managed to find it's way eight miles deep into forests of eastern Pennsylvania! Needless to say...it's not everyday that you find a "bathroom" in the middle of the woods...and it's the reason why I've come to appreciate trailheads that have public facilities. Spending as much time as I do in the woods, I fully understand that the restrooms in state forests, state parks, & county parks can be sketchy at best. 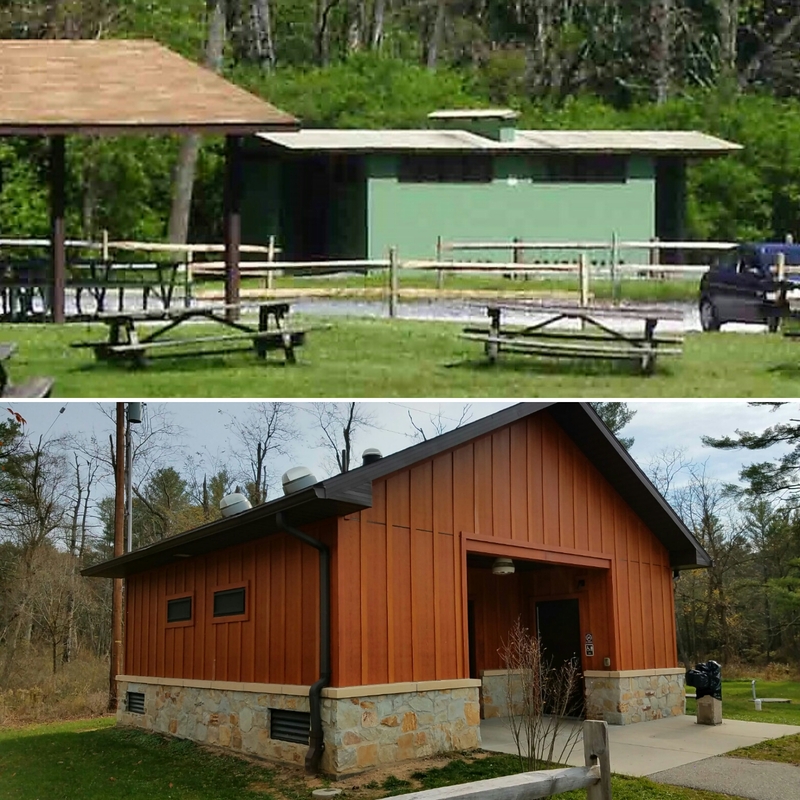 My first memory of experiencing a DCNR (that's Pennsylvania Department of Conservation & Natural Resources) bathroom was as a small child growing up in Bedford, Pennyslvania. In the summertime my mom and dad would take my brother and I to Shawnee State Park. We would spend long, hot days there swimming in the lake and playing in the sand. 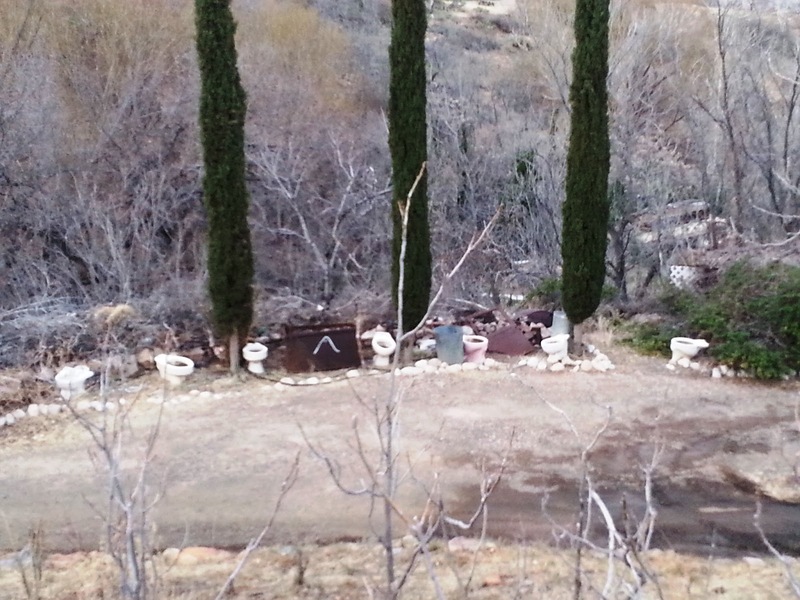 At a very young age, I learned quickly, if at all possible, to avoid the cinder block bathroom up on the hill which emanated a smell that seemed unnatural. 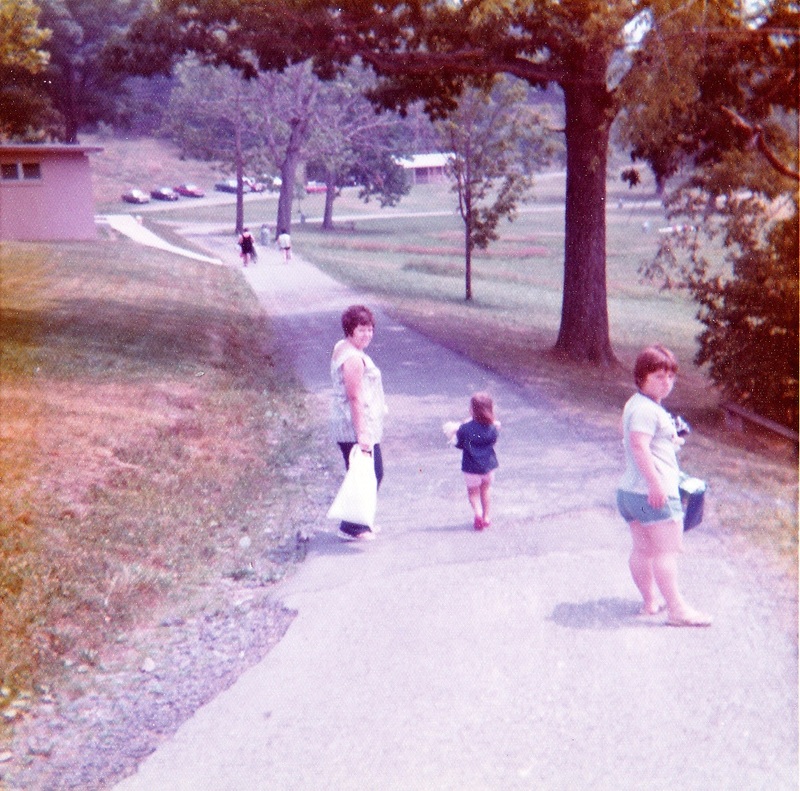 That old cinder block bathroom at Shawnee Lake is on the left. This pic was taken in 1973. My mom (pregnant with me) is on the left. I assume the little girl in the middle is my cousin, Kristen. My Aunt Deb is on the right. More than 30 years later I would come across that smell again. This time at Pine Grove Furnace State Park. We joked (half seriously) that you could SEE the smell surrounding the green "bathroom" located adjacent to the remains of the old iron furnace. Whether the green hue was real or imagined...there was no denying that smell was real. Adding to the charm, we entered the facility armed with our own paper, a flashlight, and a can of hornet spray to fend off dive bombing bees and wasps as we completed our business. That structure is no longer there...replaced by a modern facility...which is much cleaner but somehow lacks the same character as it's predecessor. The facilities (old and new) at Pine Grove Furnace State Park. 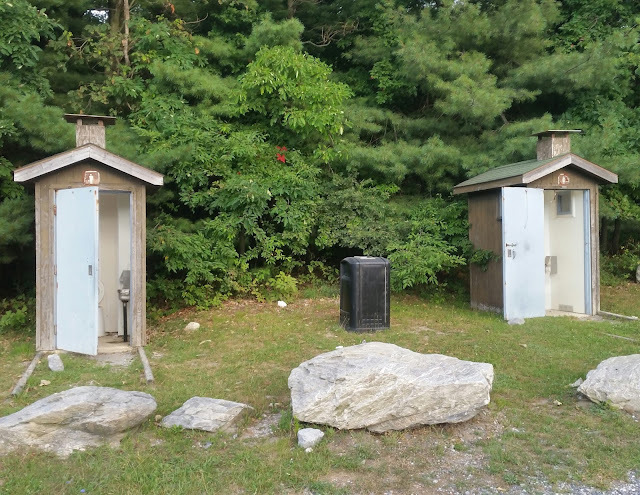 The facilities at the York County Parks range from this super huge restroom at Rocky Ridge to this outhouse tucked away underneath a wooden shelter at the Lakes. Just be discrete...like a bear in the woods. *In all seriousness...if you need to do your business in the woods be sure LEAVE NO TRACE and follow the guidelines set up by the Center For Outdoor Ethics on how to properly dispose of your...uh...poop.